Afm. behangrol: 6 meter x breedte: 140 cm. Patroon Horizontaal: 140 cm. Patroon Verticaal: 300 cm . Matching drops 2x3 meter. 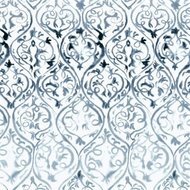 A stunning statement wallpaper, digitally printed onto a soft non-woven ground for ease of hanging. 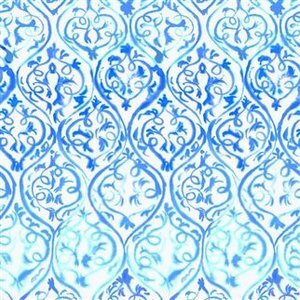 Dramatic inky scrolls in dramatic scale set in an arabesque pattern. Watercolour toned, shaded colour in contrast to the white ground. Each roll comprises of 2 drops at 70cm wide and 3m high which can be repeated effortlessly around a room. Available in two dynamic colourways.